Sales rose 5.9% to £1bn over the year to November 30, 2015, however the fast-fashion giant’s net margin fell from 4.7% to 3.6%. Gross margin dipped from 50.6% to 48.4%. The UK is H&M’s third-largest market and represents 7.6% of its global sales. Despite the tough market, H&M hit the expansion trail in the UK last year. It opened 18 stores, including one Cos outlet and one for & Other Stories, while closing seven shops, taking its total to 265. H&M expects to open a further 17 stores in 2016 with & Other Stories a key focus for expansion. It plans to grow the accessories brand from two to six stores over the year. 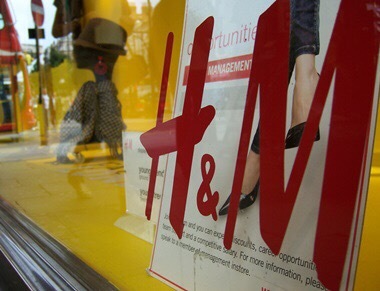 H&M is eyeing a move to open standalone menswear stores in the UK, Duarte told Retail Week this week. He said London was “almost a paradise for men’s fashion” and said it was “working on” a move to bring menswear stores to the UK. Despite the challenging year, H&M’s designer collaborations are still resonating with UK shoppers. Duarte said its 2015 collaboration with Kim Kardashian’s favourite designer Balmain was “extremely successful”. The retailer is set to launch its latest tie-up with LVMH-owned Kenzo in November. Posted on September 9, 2016, in #international, #retail, #uk. Bookmark the permalink. Leave a comment.